Toolbar Icons now load as CSS image sprites to improve performance and load time. Added administrator page options for specifying domain name for XSS (cross-site scripting) support and for choosing default UI configuration profile settings. Annotations tree can now be configured via UI configuration profile script. Fixed an issue with the cache where if a farm contained different application pool users, the first application pool to use the cache would own it and lock out all others. This is only an issue on sessionless web frontends. Moved the install location inside SharePoint's structure to the LAYOUTS folder. This will facilitate upgrades. Added support for Previewer to load larger documents. Added the option to use a UNC path for both sessionless web frontends and the Vizit local cache. This can speed up performance on multi-web-front setups and allows a configurable location to be used. Fixed a null reference exception issue when a site collection, not at the root URL, is used and a collection doesn't exist at the root URL. Fixed a bug where users opening Vizit from a Document Library or List that has a Default View URL that is not in the context of the list's folder structure would not be able to use the Explorer Grid. Added validation routine to UI configuration profiles. 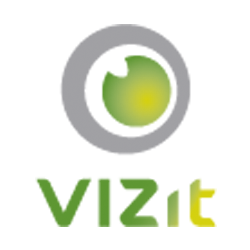 Now Vizit viewer automatically validates settings and fixes them as necessary. Separated the Vizit local cache and the Atalasoft cache directories in order for them to be configurable. Removed the Default View URL from an items additional properties in the Explorer Grid.